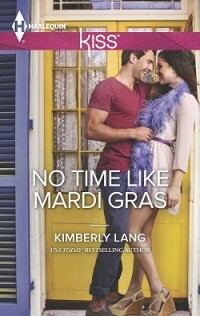 Really, there’s No Time Like Mardi Gras, and nothing else quite like it on earth. My tribute to the greatest party on earth is available now! Yay! It got 4 1/2 stars from RT Bookreviews and it has a geek hero. A scandalous night—and no one will ever know! Mardi Gras might be the best party in the world, but Jamie Vincent is spending it third-wheeling with her new roommate. So when gorgeous stranger Colin Raine offers to show her around how can she say no? This entry was posted on Tuesday, February 4th, 2014 at 8:18 am in News. You can feed this entry. You can leave a response, or trackback from your own site.